I’ve lost count of how many circuits of the sun our planet has made since last I visited London Zoo. Several years ago Carol and I met a friend in London and strolled along the Regents Canal which passes through the zoo grounds. The canal is outside the bounds of the zoo but an animal or two were visible and brought back fond memories of the excitement I felt as a child when my parents took me to visit. The place seemed huge and full of exotic creatures. 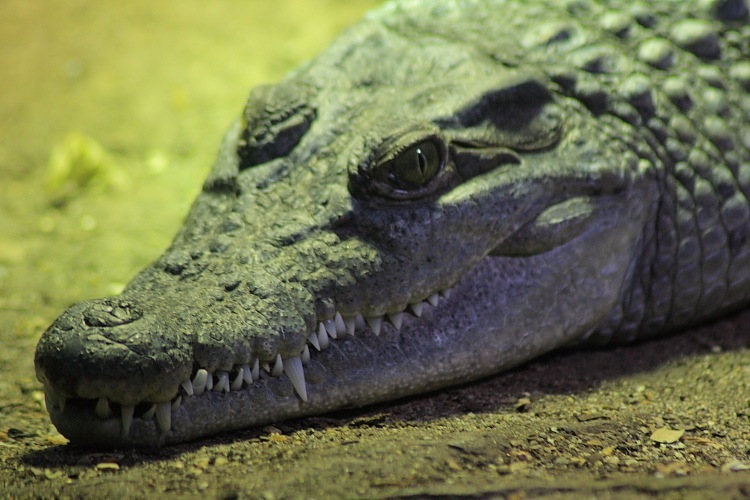 I’ve certainly been as an adult but strongest memories are from childhood and being captivated by the enormous aquarium, the reptile house and, particularly, the Charles Clore Moonlight World where day and night were reversed with lighting effects so that nocturnal creatures might be better observed. Our ZSL membership at Whipsnade covers us for entrance into London Zoo and we’ve been threatening to venture into the big city for several years. Since the new decade dawned bright and sunny, we girded our loins and set forth in the Mazda to make good on our intention. Normally on such a sunny day I’d have tried to drop the roof but, since I am still suffering from the cold that struck me three days before Christmas, the lid remained in place. First requirement: fuel. I called in to Morrisons. Shut! I back tracked to Tescos where there are 24 hour automated pumps. Better, though more expensive due to the overnight VAT reinstatement to 17.5%, 15% for a year having saved our financial bacon – yeah, right! We set off a second time. Being unpractised at driving into London these days, part way down the M1 we started fretting about Red Ken’s wonderful Congestion Charge. We suspected that a Bank Holiday would be a logical Sunday and that it wouldn’t apply but called into Scratchwood Services to try and check. Scratchwood Services as was now seems to have been rebadged as London Gateway Services. Whatever they call it, it looks like a dilapidated wasteland. Eventually Carol found a map showing that Regents Park was just outside the Congestion Charging zone, anyway, so, barring taking a wrong turn, we appeared to be safe. We continued, avoided any wrong turns and found our way successfully to London Zoo, coughed up the £12.00 to park Mazzie and entered at about 1:00 PM. There didn’t seem to be too many people about, surprisingly. Even more surprisingly, and certainly more disappointingly considering that we were in the capital’s zoo, there didn’t seem to be too many animals about either. A few enclosures were closed for renovation (the lions, the Charles Clore exhibit). Neither, I suspect, was the cold helping; though sunny, the frost never melted and, let’s face it, many of the inmates are used to rather better climates than that offered by our Sceptred Isle. The Penguins seemed happy enough, though. The “Into Africa” exhibit supposedly has Tapirs, Okapis and Giraffes. Their houses were closed (quelle surprise) and the inmates weren’t venturing outside. One distant Giraffe poked its head out for a while, spotted the frost and wisely drew it back inside again. 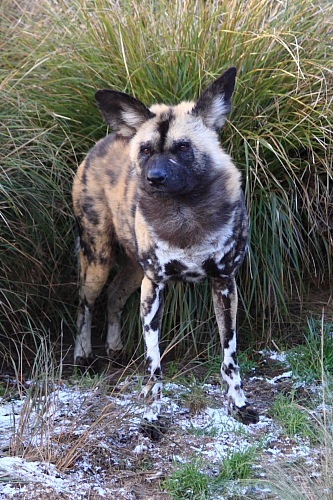 There were some African Hunting Dogs loping up, down and around their enclosure but most of “into Africa” was a no-show. The advertised Warthog piglets were conspicuous by their absence, also. It began to feel a bit like the inaugural Jurassic Park tour with one desirable absentee: T-Rex. 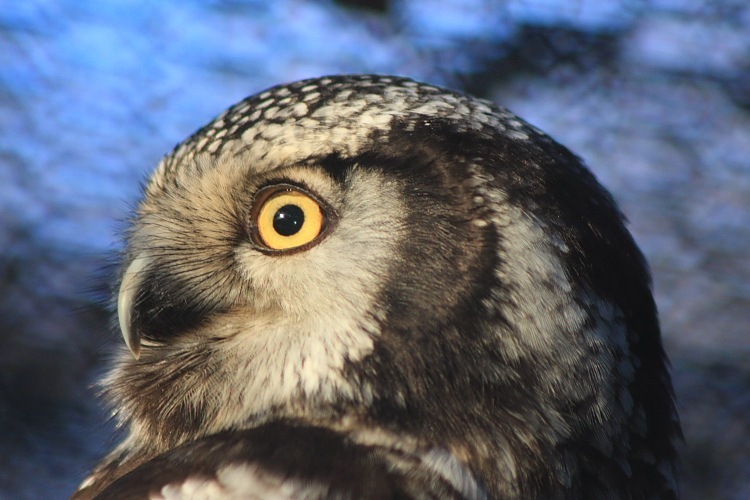 There were quite a few birds, though we spotted a little redundancy with at least three separate cages containing Burrowing Owls. 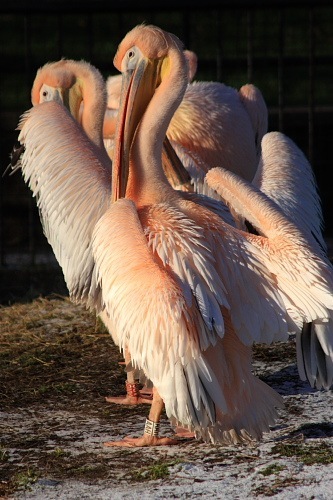 Some huge Pelicans were preening their pink feathers. Pink? I’ve seen brown and white Pelicans in the wild but not pink. I started wondering if they’d been pinching food from the Flamingos with whom they shared an enclosure. No, probably not. Then, behind the rebadged but closed Clore Rainforest Lookout (due to re-open Easter this year) we passed a couple of pink Meerkats that caused me something of a double-take. 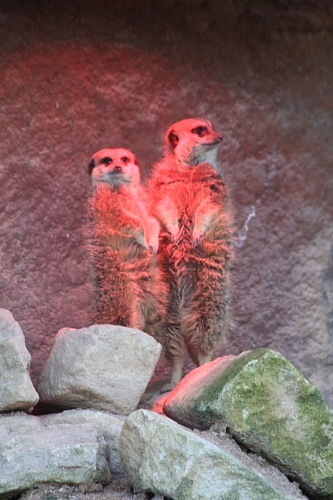 Pink Meerkats? Yes. Surely they’ve not been pinching the Flamingos food, too? Ah, no; the wise little fellows were actually standing guard under a sunlamp. Phew, sanity restored. The whole place felt a bit sad – somewhat empty and run down, partly due to the much-needed renovations probably. Even had all the enclosures been full and active, the place felt much smaller than I remember but, then, everything seems big as a child. The reptile house and aquarium are still fun and Whipsnade doesn’t have any equivalent but I’m not sure we’ll bother again.